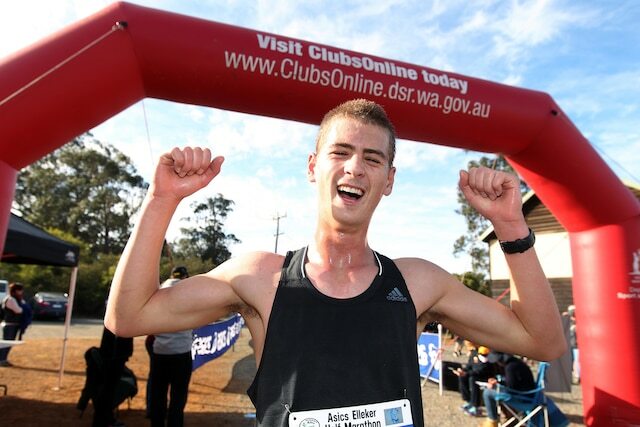 Running the 21km course for the first time, the 16-year-old led from the 7km mark and held off persistent competition on his way to his impressive breakthrough win in 1hr 17min. 13sec. 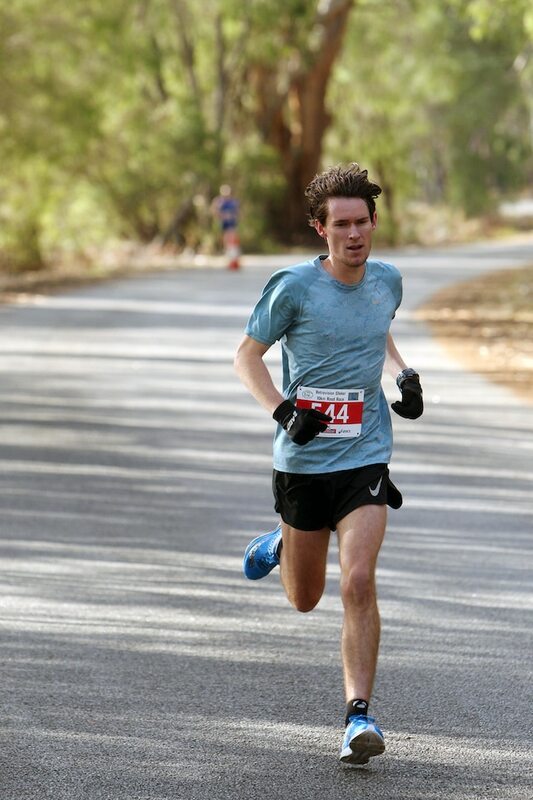 Kowalski smashed his previous best across the distance by seven minutes to finish ahead of Kojonup’s Richard Avery (1:17.32) and Mt Barker’s Darren McDonald (1:18.31). Starting the race in a beanie due to the chilly early morning, Kowalski said he was surprised to be in the lead for the majority of the race and hold on for the win. “I kind of just wanted to stick to whoever was in front and run with them, so it was pretty hectic,” he said. “Over the last couple of days, a calf injury kept coming back, so I was pretty worried about that. The North Albany Senior High School student has been selected in the School Sport WA 2018 Cross Country team for the national championships on the Sunshine Coast, Queensland in August and will run in the 16/17 years boys division. 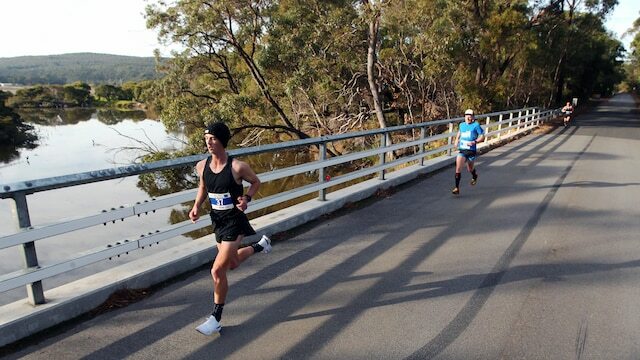 The 23rd running of the event was again blessed with fine conditions, with three records smashed in the process. 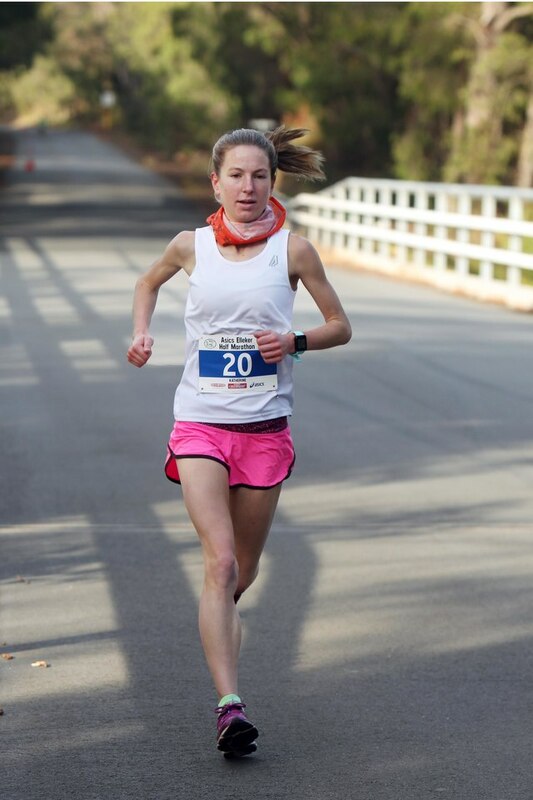 Included was the 15-year women’s half marathon record, broken by Nedlands runner Katherine Stockwell. Stockwell’s time of 1:24.11 broke Lauren Shelly’s 2003 record of 1:24.44 and led to her clinching back-to-back women’s titles and eighth overall. Stockwell finished seven minutes ahead of Kate Pritchett (1:31.10) and Jennie Halliman (1:31.33) to round out the top three. 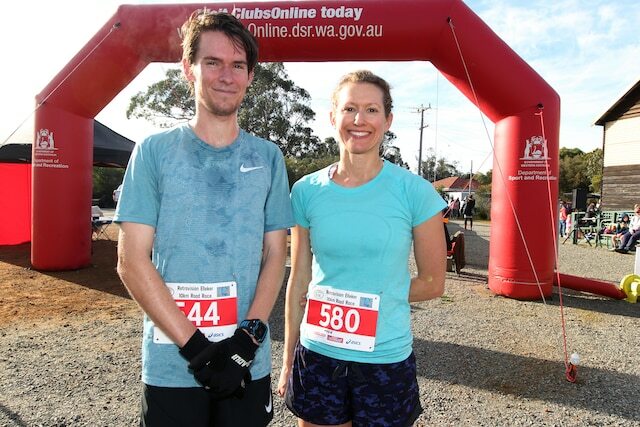 Earlier, the records tumbled in the 10km road race, with winners Jack Dunn and Angie Ross both rewriting the history books. Dunn (32.53) was the first male across the line for the fourth time, taking 51 seconds off Daniel Rubick’s 2016 record of 33.44. Second place-getter Callum Dowell (33.41), a two-time former winner, also sneaked in under record time as the two local runners went head-to-head. 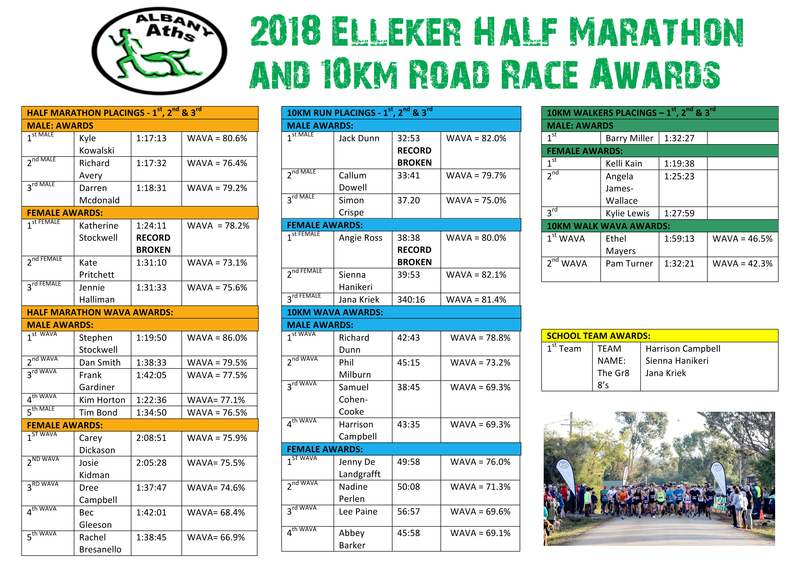 Female 10km winner Angie Ross (38.38) broke her own 2016 record by 49 seconds to finish clearly ahead of second place-getter Sienna Hanikeri (39.53) and Jana Kriek (40.16). Barry Miller won the first 10km walk and Jonah Hanikeri was first across the line in the 2km Kids’ Dash.